I was 13 years young when I drew this funny little Appy foal ❤ That is a long time ago! I had this book full of horse pictures of all kind of breeds. Some took my attention more than others. 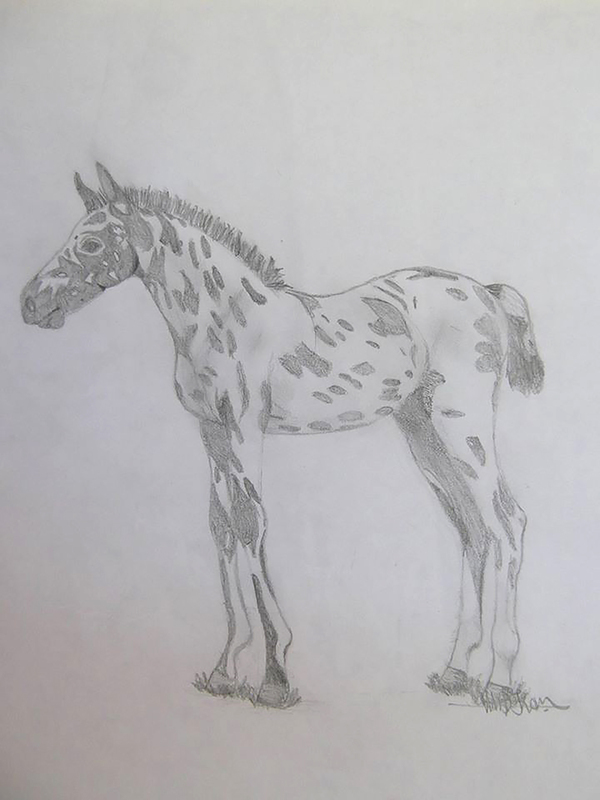 I remember my heart jumped right out of my chest when I saw this lovely Appaloosa foal and when I felt that I had to draw it. So I did! Then later on in life and to my biggest suprise I met a true look-a-like in the US. At first only in pictures because of a commissioned painting. So I got to draw/paint the Appy again! Later in real life because I travelled to the US last year to meet the very Appy, named Spirit, I painted one year earlier.